The Road Haulage Association (RHA) has drawn on research by road safety charity Brake that shows that one in four drivers across the UK have not had their vision checked in more than the last two years. Moreover, a shocking four per cent of road users stated they have never had an eye test – the equivalent of 1.5 million drivers. As a result, RHA chief executive Richard Burnett is calling upon fleet managers across the country to ensure they are encouraging their drivers to have their vision regularly examined and to put in place measures to monitor this practice. Mr Burnett commented: "The link between eye health and road safety is very important. If a driver cannot see where they are going there is a higher risk of accident." Meanwhile, Vision Express chief executive officer Jonathan Lawson added: "With 50 per cent of sight loss preventable, at Vision Express we're calling on drivers to have an eye test and protect their vision, and their licence, for life. "It's worrying that for most of us, the only mandatory vision check is when we read a registration plate from 20 metres as part of our driving test." 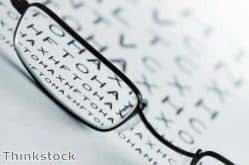 Both bodies will now be working together to promote the message that a lack of understanding around the need for regular eye examinations places countless travellers at risk every year. This is especially important for heavy goods vehicles operators due to the potential for damage that these vehicles pose. The Road Haulage Association (RHA) has bemoaned the lack of support for the creation of new professional driver training schemes in the chancellor's latest Autumn Statement announcement. 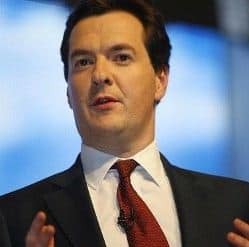 As part of the new Spending Review, the chancellor pledged to continue investing in the nation's transport infrastructure over the coming years, but failed to address the need for additional funding towards attracting and training new professional drivers that logistics providers across the country are calling out for. According to the RHA, an urgent £150 million cash injection is needed into the sector to fund enhanced driver training schemes in the months and years to come. The organisation argued that a failure to deliver this investment could have far-reaching implications for the whole economy in the future. RHA chief executive Richard Burnett stated: "Our industry is suffering a chronic shortage of 45,000 to 50,000 drivers. This is jeopardising supply chains and threatens to put the brakes on the economic recovery. This crisis will only get worse, as one in five of the current HGV workforce will reach retirement age in the next ten years. "We are doubly disappointed as we have figures that clearly show the £150 million would be more than recouped through taxes paid by the new drivers." He added that it is now essential that driver apprenticeship schemes are given the proper governmental support in order to successfully get off the ground, especially given the high cost of training that is currently expected to be paid by new drivers themselves. The Freight Transport Association (FTA) has called on the government to address the dual issues of skills shortages and the high cost of fuel duty for UK hauliers. 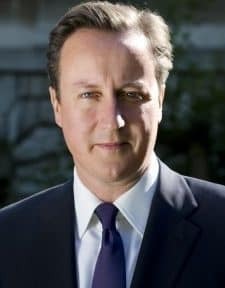 FTA director of policy Karen Dee stated that both the chancellor and prime minister have emphasised that their priority is to protect the UK economy and to boost productivity in the coming years. However, current policies surrounding the issues of costs for haulage providers and the ongoing lack of new entrants into the profession do not appear to be high on the agenda for government support. She argued: "The government's decision to freeze fuel duties for the past five years has delivered much-needed relief not only to the logistics sector, which faces continuing difficult trading conditions, but also to the wider motoring public who rely on their cars to get to and from work. "But independent research has shown that a 3p per litre cut in duty would deliver further benefits – creating jobs, boosting GDP, and in some circumstances, delivering a net increase in tax revenues." Ms Dee added that the need for additional investment in not just affordability for the nation's logistics providers is now stronger than ever, but support to attract new drivers to the profession is also essential. With investment in skills a national priority ahead of the coming festive season, the government needs to be aware that failure to address this problem could result in empty shelves and businesses suffering this Christmas and into the new year. New research published by the Institute of Advanced Motorists (IAM) has highlighted widespread acceptance of speed cameras across the UK, apart from drivers in the English capital. The strongest antipathy towards the use of speed cameras as a means of catching individuals that exceed the speed limit was seen among London motorists, according to the body's new poll. It revealed that the national average for support for the use of speed cameras currently stands at 79 per cent. However, this figure falls to 69 per cent among Londoners. 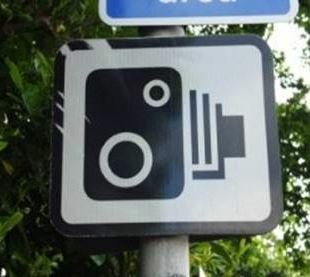 IAM chief executive officer Sarah Sillars commented: "It is clear that most drivers accept that speed cameras are effective in reducing the numbers of people who are killed and seriously injured, but for many there is still an unfortunate link to revenue raising and a perception they are not always in the right places." Indeed, Ms Sillars added that public support remains essential for the effective use of speed cameras in the UK, as road users need to feel assured that the technology is being used to improve road safety and not simply as a means of raising local authority revenues. The fact that speed remains one of the most common contributory factors in fatal and serious accidents on the nation's roads each year means that all drivers – both professional and members of the public – must adhere to speed limits at all times. Speed cameras therefore continue to play a crucial role in enforcing speed limits and deterring dangerous behaviours that could cost lives if left unchecked.